First Impressions count – does your patio impress? 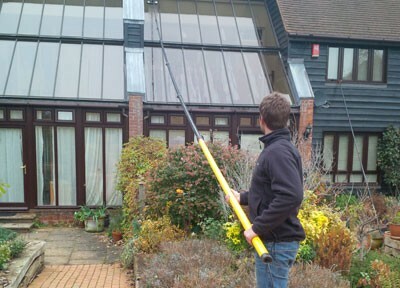 We offer a professional patio cleaning and treatment service for both domestic & commercial clients. Our services are available throughout Cambridgeshire, Bedfordshire and Hertfordshire. Our team of dedicated staff deliver a fast, safe and reliable cleaning service. We use the very latest in jet washing equipment to restore any patio surface to its glorious best. We can also provide a resealing service. Keeping your patio cleaned and well maintained is far more cost effective than replacement. All patios need a bit of maintenance and treatment every now and again and we are able to treat a range of common patio surfaces stains, dirt, grime, tyre marks, oil stains, weeds, moss and algae. If your patio surface is in need for some expert restoration feel free to contact us today to get a no-obligation quotation. Our commercial service offers excellent value for money. We make cleaning your hard surfaces as hassle-free as possible. Offering a service to suit all budgets from small business to large retail premises. Over the years your patio can become not only unsightly but dangerous, the build-up of weeds, moss and algae can lead to slippery surfaces making the area unsafe to walk on. Our moss treatment prevents this dangerous build up by killing the moss prior to jet washing whilst preventing regrowth. Feel free to contact us today to get a no-obligation quotation.